With 19 articles covering topics ranging from alcohol abuse in the work of Jack London to the emergence of bioethics as a discipline, a new issue of History, Sciences, Health – Manguinhos is available in Scielo. interview about the presence of scientific subjects in the Brazilian press in the 1960s and a selection of images of the first summer camps for frail children as educational and health-giving experiences in Argentina. From the analysis of texts published in the United States, one of the articles in this issue reconstructs different debates about the origin of bioethics as a discipline. With the reconstruction of these narratives, the authors seek to understand what bioethicists think about this area of ​​knowledge and practices. 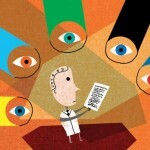 The research involved conducting interviews with more than 50 bioethicists and members of hospital committees in Argentina. Written in the context of the Universal Suffrage and Prohibition in the United States, in the early twenties, the book Alcoholic Memories, by Jack London, was analyzed in the article Alcoholism and the aesthetics of existence: Jack London and the white logic of John Barleycorn. The author sought to understand how the American writer’s work deals with the theme of the self-care, problematized by Michel Foucault in volumes 2 and 3 of The History of Sexuality. The article entitled For a society without secure psychiatric hospitals, written in the context of the Brazilian antimanicomial movement, criticized the psychiatric model based on secure hospitals for patients with mental disorders. Another article analyzes the works of the Polish psychiatrist Kurt Goldstein and the French doctor and philosopher Georges Canguilhem, proposing a philosophical framework of health and disease. 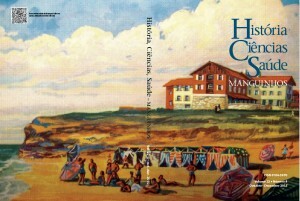 HCS-Manguinhos also features articles that address topics such as therapeutic communities; leprosy in the Amazon; the acceptance of Freudian ideas among doctors in Chile; the emergence of the contemporary concept of old age; the medicalization of childhood in Buenos Aires between the 1940s and 1970s; amphibians in Spanish popular medicine; and the debate about theology in biology. Also integrate this edition articles about the Hospital Real de Todos-os-Santos, in Lisbon; the preservation of the cultural heritage of health in Brazil; the psychiatric assistance scenarios in the Brazilian state of Paraná; the history of veterinary medicine in Mexico; and the work of the pharmacist Theodoro Peckolt, one of the most important figures in the history of the chemistry of natural Brazilian products. This issue also features an interview with journalist Eulina Cavalcante de Almeida, editor of the woman’s section of the ABC Paulista newspaper News Seller. In the 1960s, she was responsible for introducing women’s and scientific issues to the paper’s female readers. The sources section presents the correspondence that psychiatrist Julio Porto-Carrero sent to psychiatrist Arthur Ramos in 1932 about a concern over systematizing the translation of certain psychoanalytic concepts into Portuguese. The image section offers an article full of pictures of the first summer camps for frail children as educational and health-giving experiences provided by medical and philanthropic organizations. This article analyzes some of these early experiences, seen here as the predecessors of social tourism, in the Province of Buenos Aires. In the editor’s note, Marcos Cueto and André Cândido da Silva discuss the importance of the Declaration on Primary Health Care and show their concern about the future of Brazilian journals.